COCA-COLA MENA, Luxor, Egypt. During the annual COCA-COLA MENA meeting point in Egypt, The DSAF lead by director Estela Saez, was invited to coached 145 Coca-Cola managers to make jewelry inspired by the land of Luxor and its Ancestral Egyptian Culture. 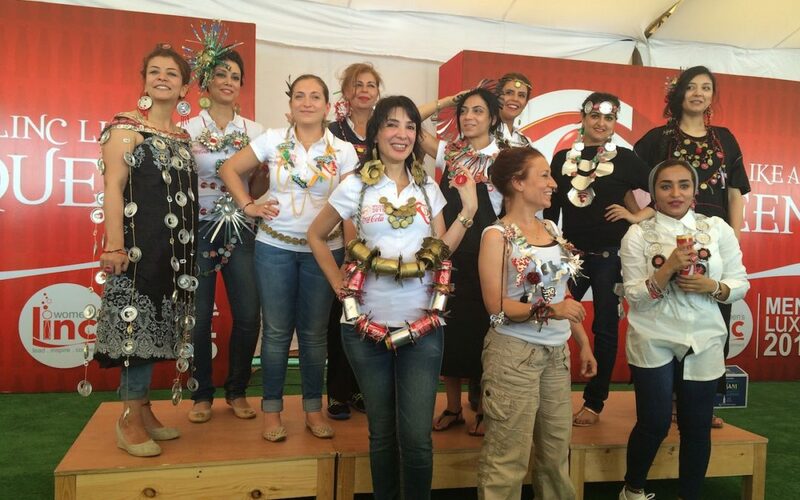 Coca-Cola team and local women developed wearable pieces out of cans. The goal was to awake their sensitivity and creativity through the workshop. Enrich their social skills as of cooperate with women from a Luxor based NGO to develop their craft and its self-sufficiency.